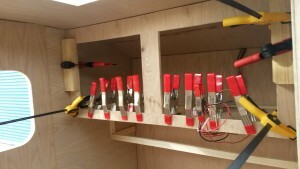 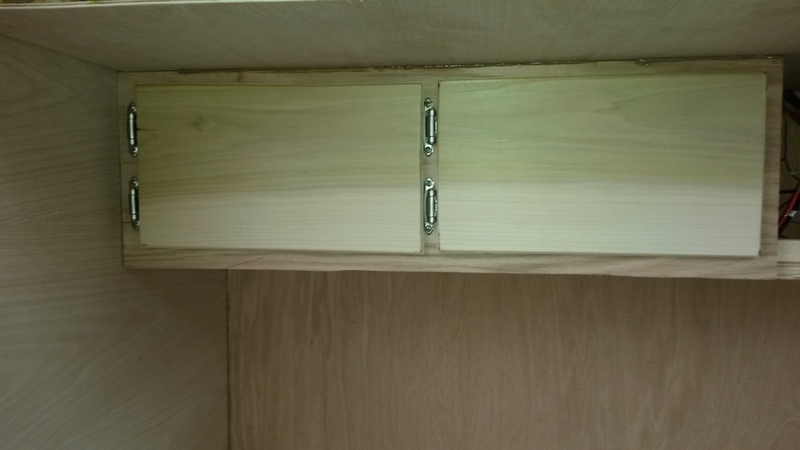 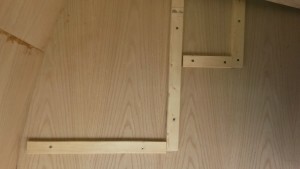 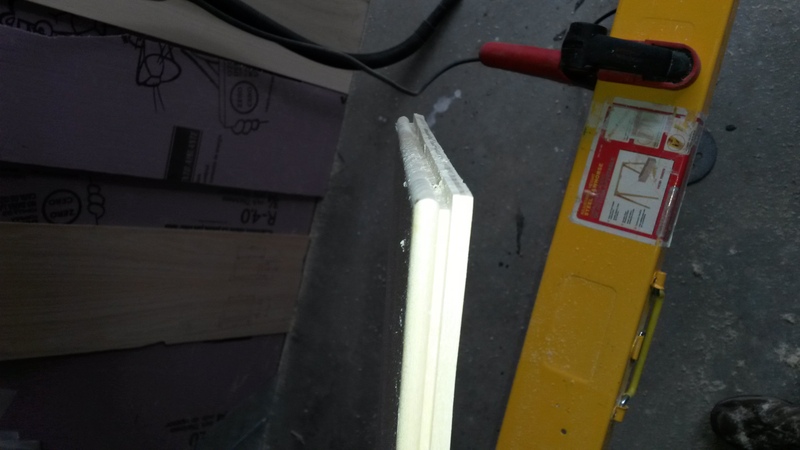 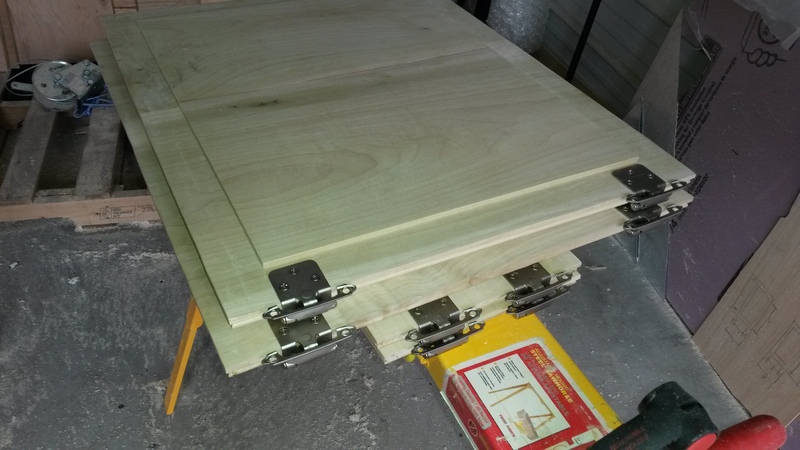 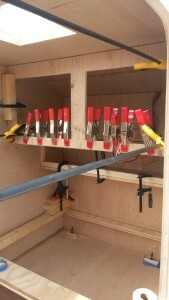 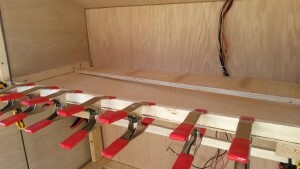 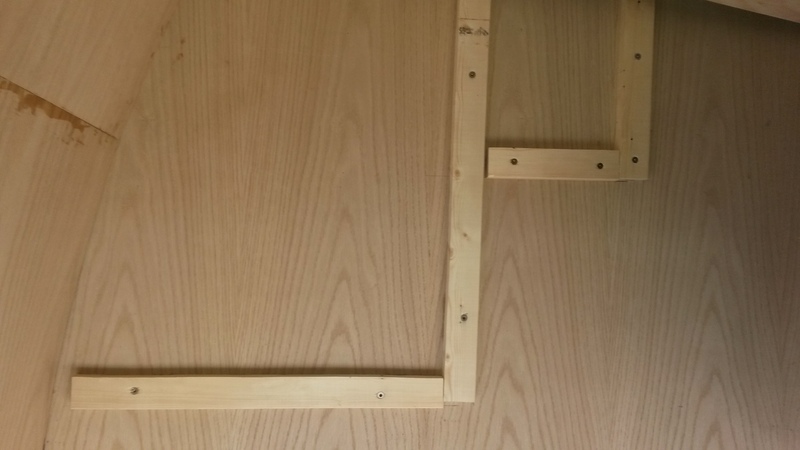 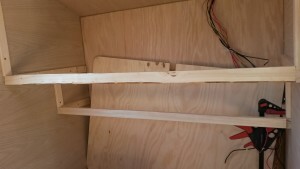 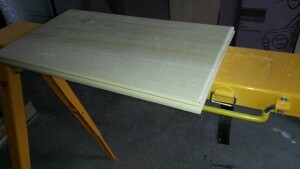 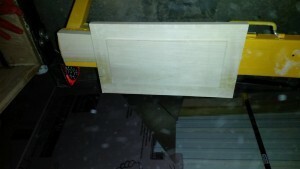 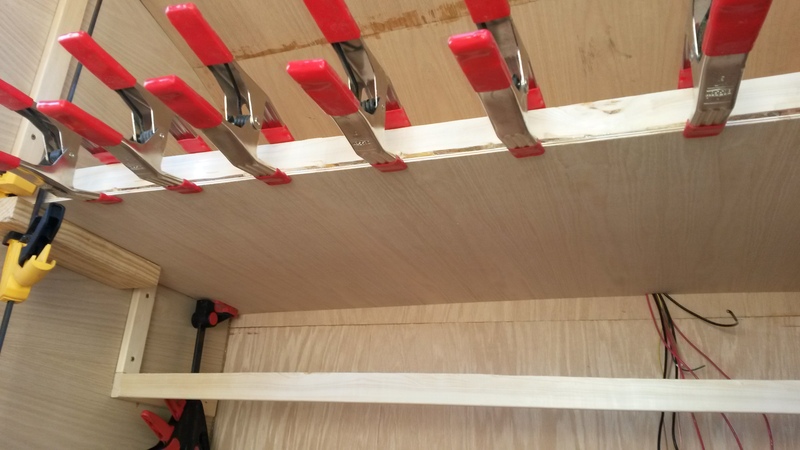 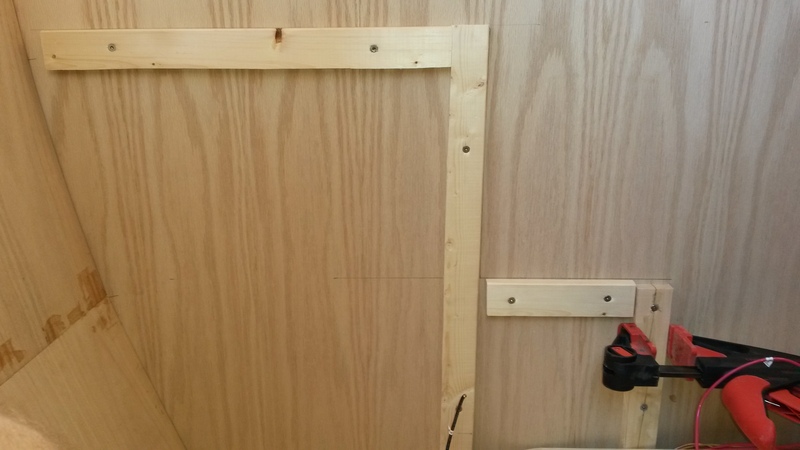 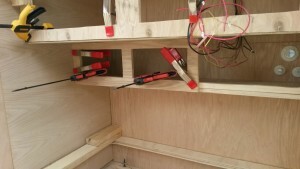 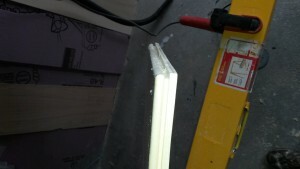 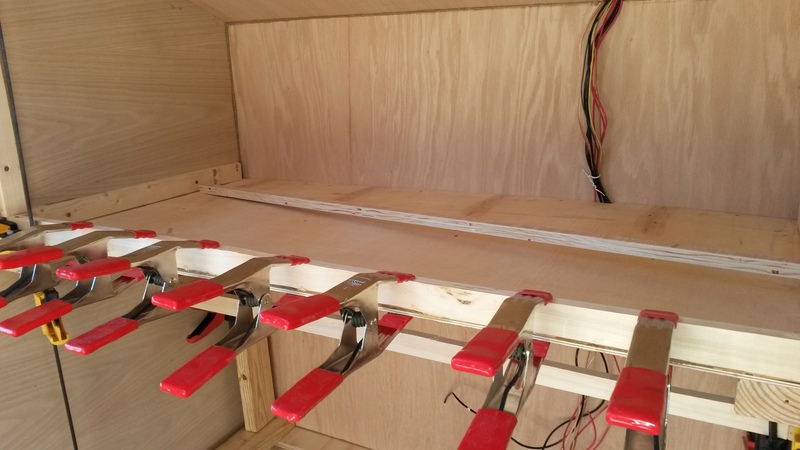 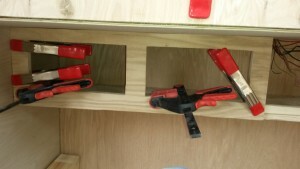 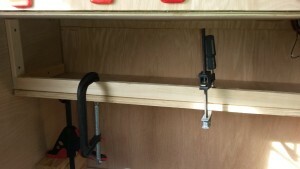 The first step was measuring out where the interior wall supports where then fastening 1″ x 2″s onto the walls These would be the frame of the cabinets. 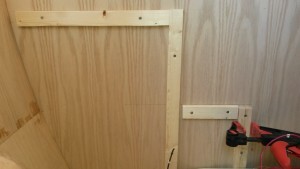 Next I framed in these wall supports. 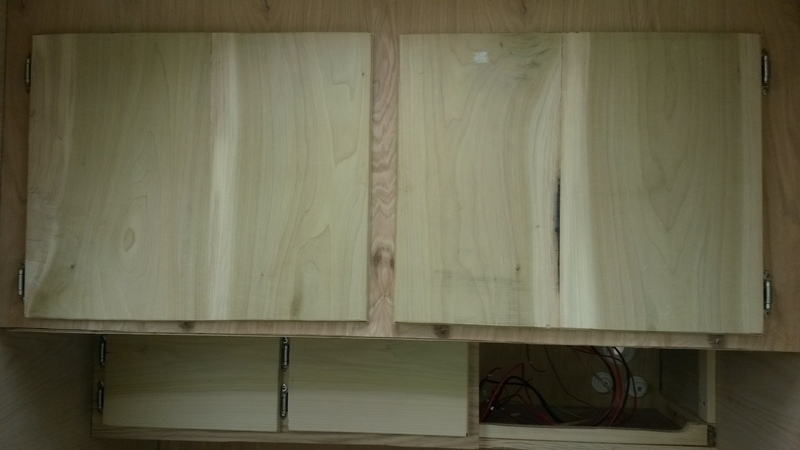 Next was paneling in the cabinets. Then I made all the doors. 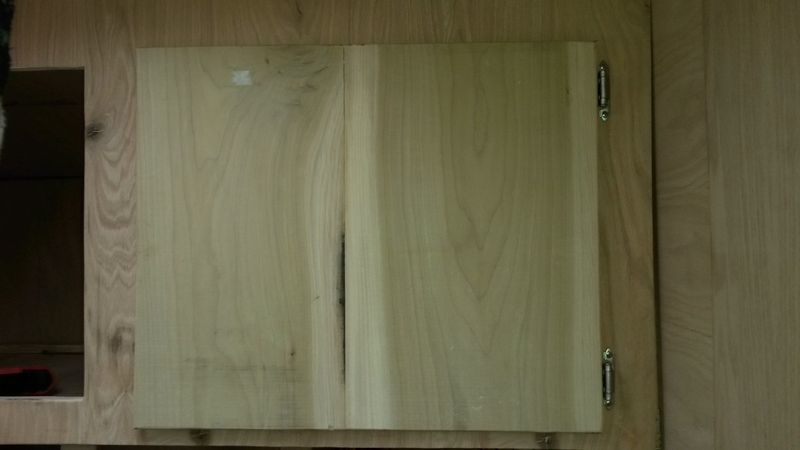 I picked up some hardwood. 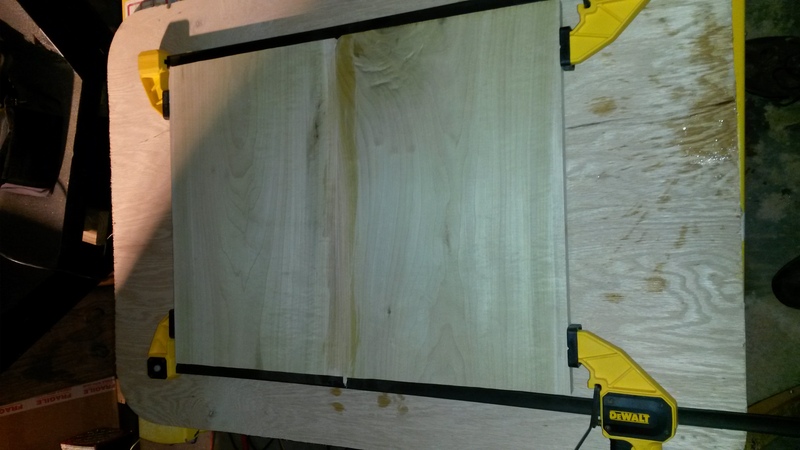 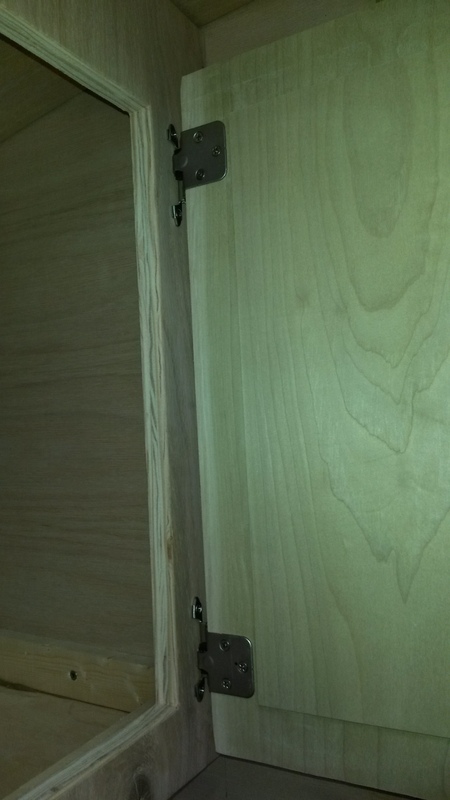 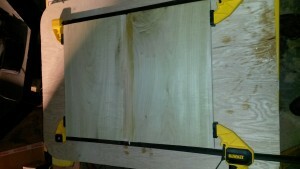 I had to glue together some of the boards due to the door sizes. Then I trimmed the edge with the router to add a nice little design and also to add a easy spot to grab with your finger nails. Next I installed the hinges. 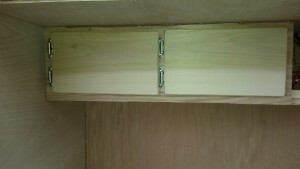 After this I lined up all the doors and attached them to the cabinets.